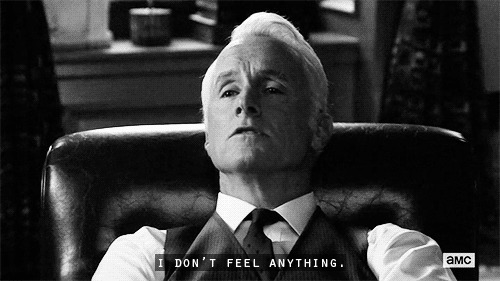 As Mad Men begins its final voyage, I feel I really need to get something off my chest: I don’t like Mad Men, and I’ve never really understood why it’s the recipient of so much praise. 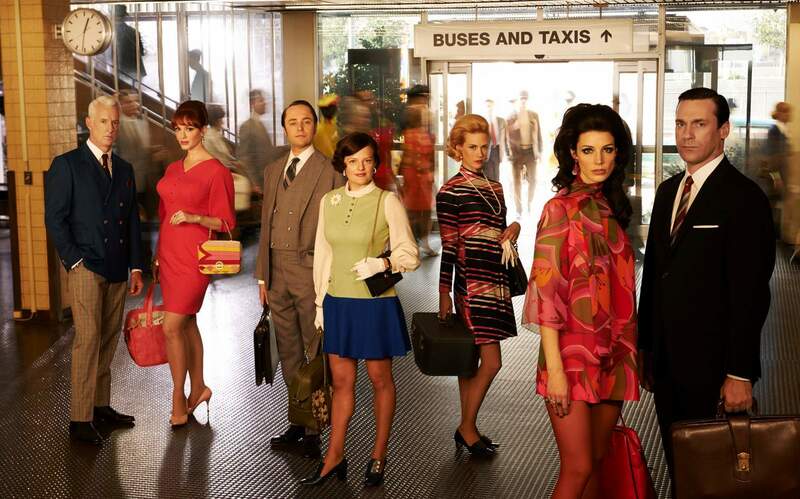 It’s not that I hate Mad Men, I just don’t see the appeal. And I didn’t just watch one episode and come to this conclusion; I tried, I really did. A few years ago, after hearing countless people wax lyrical about the amazing storytelling and the amazing hotness of Don Draper, I decided it was of the utmost importance that I watch the show. So much so, that I went ahead and bought the first three seasons on DVD without ever having watched an episode. If you take nothing else away from this article, please just heed the following advice: Watch a show first to see if you like it before you spend your hard-earned money on the DVDs. And so began the period I refer to as “the summer Mad Men took from me, and I’ll never get back.” I watched the pilot, and I was intrigued. That reveal at the end and the way they set it up? Awesome. But that was the first and last time I genuinely wanted to watch the next episode of Mad Men, as opposed to watching the next episode because even though nothing remotely exciting had happened in the previous episode, I had heard the show was amazing, and so I obviously just had to get through a bunch of boring episodes to get to the good ones. Yeah, I was wrong about that. For weeks, I persevered, determined that at some point I would eventually get it and be able to rejoice in its wonder with everybody else. Maybe I was just tired as a result of vitamin D deficiency because I was spending my entire summer indoors watching this show instead of outside in the actual sun, but alas, that moment of finally understanding the hype never came. Ultimately, three episodes into Season 3, I gave up. It was clear Mad Men obviously wasn’t for me. With every episode I watched, I really just felt like nothing happened. The show moved slower than I do when a workout is calling my name. Ultimately, though, I realized the reason I just couldn’t get on board with Mad Men is actually one of its defining features — its exploration of good and bad and the massive gray area that sits in between. The reason I don’t like Mad Men is the very reason the show is compelling to everyone else: There is no one I can root for because just when I think I like somebody, they go and do something awful and unredeemable, and I can’t like them anymore. And this happens all the time and with every character. And it’s not just Don; all of the men are complete tools. They’re all disgusting, chauvinistic, cheating on their wives and behaving like entitled little brats. I know that’s kinda the point and that it’s meant to be shedding light on the era, but still, I just can’t with these people. Not to mention, just when I’d get attached to little Bobby Draper, they’d go and change the kid who played him. And he was the only one I liked! The women don’t fare much better. Although I do have more sympathy for them and I do understand that they were just trying to survive in a patriarchal society, I really couldn’t get on board with them, either. Not even Sally earned my love. I wanted to feel bad for Betty, but I just couldn’t because, well, she’s not very nice. Let me be clear, though: While I may not personally understand why Mad Men has received so much acclaim, that doesn’t mean I can’t accept that it’s deserving of the accolades it has won. I am perfectly capable of understanding that just because I don’t like something, it doesn’t mean that it’s not of value. A lot of people like Mad Men, so it’s obviously worthy, but for as long as I live, I’ll see it as a personal failure that I could never love it, too.